The result looked fairly primitive compared to most other game websites, but the effect was achieved and the game worked. Additionally, because it was a multi-player game, it was important that players could play with each other whether they were in EVE or simply on the web. All code work was done by hand using Notepad++ text editor. 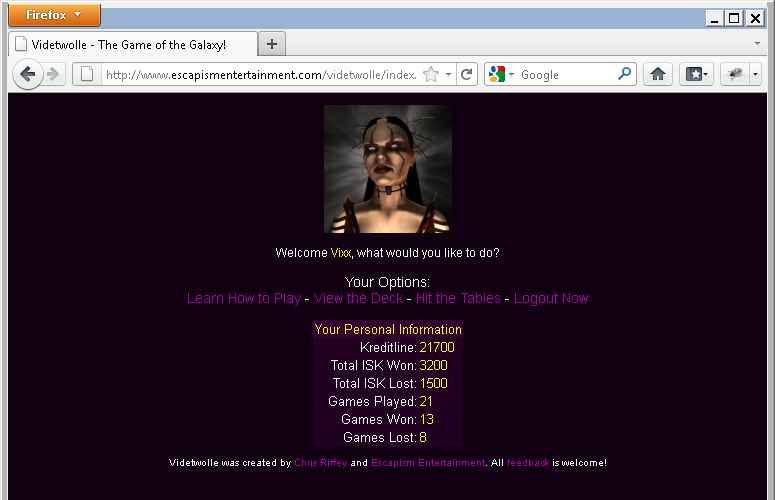 Site features playable multi-player card game that is playable both via the web and inside EVE Online. Players from either location can play with each other seamlessly. 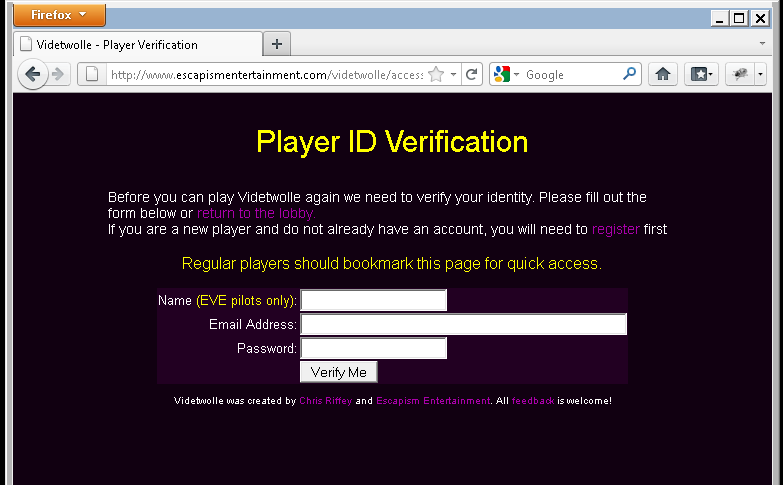 Site utilizes EVE Online in-game browser hooks to identify game traits such as name, character portrait, location, and affiliation. 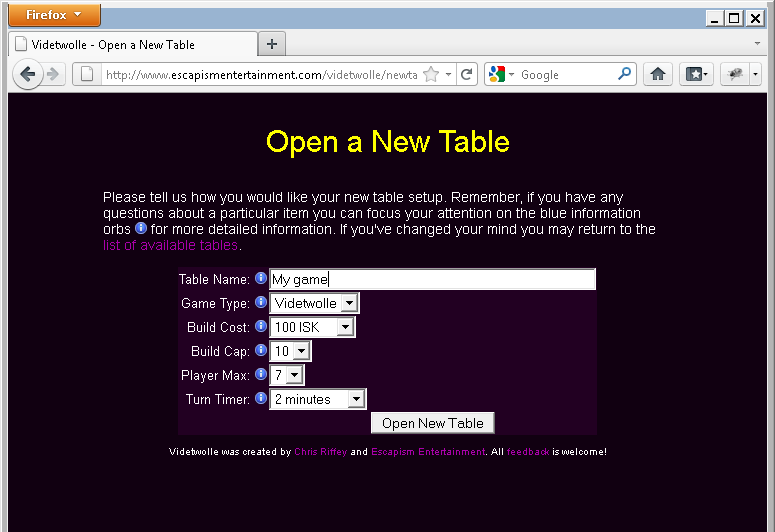 Players can make their own games or join existing games. Players have persistent profiles that keep track of their virtual currency and their statistics.